Xbox One and Xbox 360 games can now get a free Fast & Furious racing game. 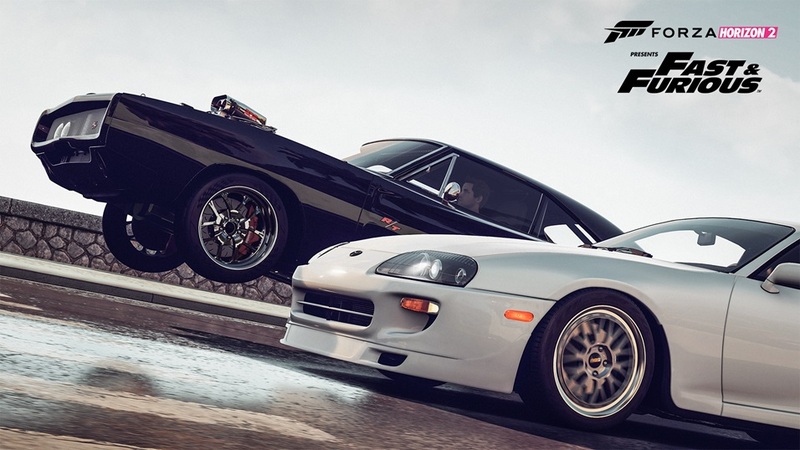 Forza Horizon 2 Presents Fast & Furious is available for both platforms through Xbox Live for no charge. In the game, Tej Parker (Christopher “Ludacris” Bridges' character from the Fast & Furious films) recruits players to acquire ten cars for his crew. You'll do so by completing challenges inspired by the F&F films. The gameplay I've seen so far seems to be mostly street races. 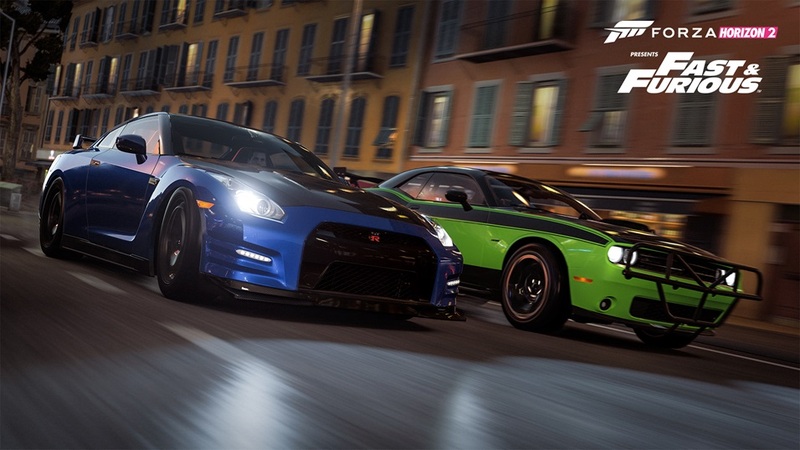 As the game's title implies, Forza Horizon 2 Presents Fast & Furious is a standalone expansion to Forza Horizon 2. It uses the same engine and is also set in southern France. If you liked the feel of FH2, you'll probably enjoy this game too. 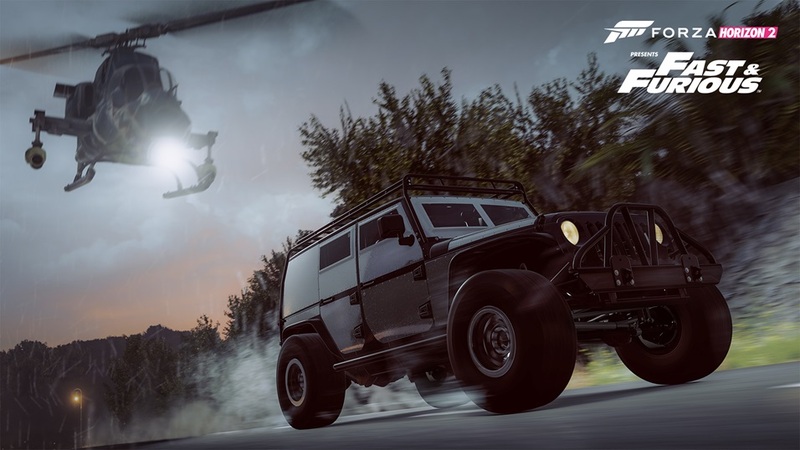 Unfortunately, it doesn't sound like you'll be able to import these unlocked vehicles into Forza Horizon 2. You don't need to own FH2 to download and play it. The downside is that it's kind of a short.. Fortunately, it still comes with a whopping 1000G worth of Achievements as though it was a full game. This might be a good opportunity to pad your Gamerscore, in other words. The game also acts as a sort of free demo for FH2 - well, a second free demo. 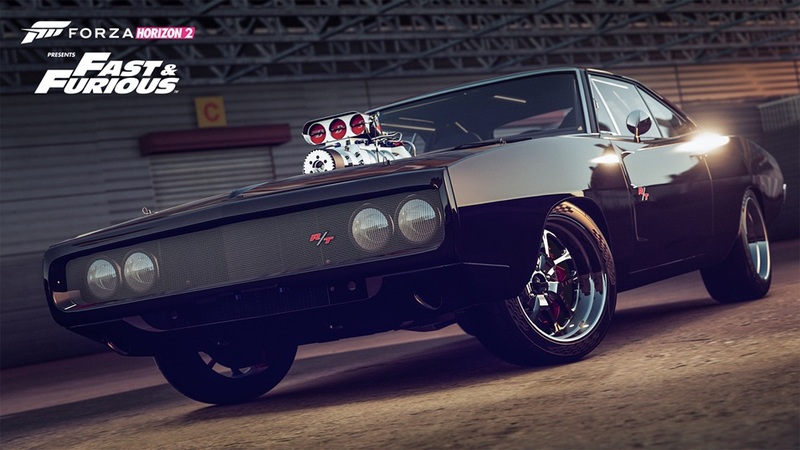 Forza Horizon 2 Presents Fast & Furious is available for free from now until April 10th. From that date forward, the game will be priced at $10. If you managed to download F&F prior to that date, though, you'll be able to keep playing for no charge. All of the vehicles that players unlock in Fast & Furious will be seen in the film Furious 7. Furious 7 will be debuting in theaters in one week.